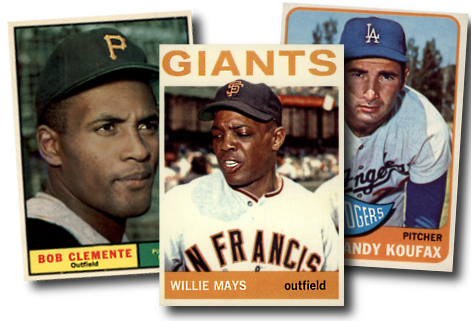 Shop 1960s Baseball Cards Online - Topps, Fleer, Post, O-Pee-Chee and more! Baseball card collecting reached its zenith in the 1960s as the "baby boomer" generation came of age. By the early 1960s, 89% of these boys collected baseball cards. Topps had a virtual baseball card monopoly to market to these 35 million boys. Topps continued to make interesting additions to cards during the 1960s, such as multi-player rookie cards, world series cards and leaders cards. The Topps baseball card sets issued between 1960 and 1969 remain some of the most popular baseball cards ever produced. Please click on links below to select the baseball card sets that you wish to view.